Driving schools these days must not only prepare students for a practical test, they also have to give every support in preparing them for the written theory test which must be taken first. The test covers far more ground than the few questions on the Highway Code which rounded off the previous practical test. The written exam encompasses areas such as driver attitude, risk assessment and hazard perception, a valuable addition to driver training, most driving schools would acknowledge. Incorporating a theory test, which bought us into line with other EC countries, has meant an additional fee over and above the practical test fee for both cars and motorbikes. There's also more to learn, although the information you'll need can be found in books, not least the Highway Code itself. Many driving schools help students with the theory element by either providing book or video packs, or have linked up with local colleges to provide evening classes. Interactive CD-ROM or other software-based systems are also available. Check it out with your local driving school. Given the wide range of subjects that the current test will span, it's advisable to devote a good few hours to study for it, the experts warn. The test itself takes the form of 50 multiple choice questions and you will have to achieve a score of 30 or higher to pass. The test will be set in various languages to cater for Britain's ethnic mix. The cost of extra training varies depending on how you wish to study for the test. In many cases, of course, your driving instructor will spend more of the lesson discussing theory and hammering home the Highway Code. The test gives pupils a broad base of knowledge and certainly makes them read their Highway Code. Increasing awareness has seen a change in driver attitudes with the result that there is less anger and bad behaviour shown by drivers. After an initial assessment, the chosen school will advise how much preparation you will need to pass your test and arrange a programme accordingly. They will even book your test for you by phone for immediate response. This would enable you to pass your test within 7 - 14 days, rather than taking several months of weekly lessons. Motorcyclists also have to take a theory test - unless they already hold a car licence, in which case they will be exempt. Other changes introduced in recent years affect all would-be bikers. A few years back, when you passed your test - on a 125cc machine - you could immediately drive any size of bike. 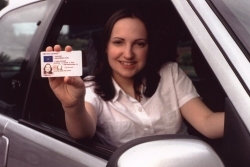 Now, if you are aged between 17 and 21 you will be restricted to 400cc for the first two years after you pass your test. Over 21s have the option to learn on a bigger bike - as long as they always have a qualified instructor with them and are in radio contact throughout. When they pass their test they will be able to ride anything up to that capacity for the first two years. New drivers taking their first truck (LGV) and bus (PCV) driving test also have to pass a written paper of multiple choice questions, similar to the test taken by car drivers. Bus and truck matters are also covered, of course, and as with car drivers the theory test must be taken before the practical test. The Category C LGV test continues to cover all rigid vehicles and must be passed by any car driver and C1 light truck driver before the artic or drawbar Category C & E is taken. The only good news is that one written test covers all LGV categories.